A 33-bed hospital situated in the town of Cochrane, which services surrounding communities with a variety of health care. Although originally incorporated in 1912 as “The Cochrane General Hospital” and records which indicate that it “opened for business” in 1916, 1915 is considered the official anniversary date since it is the year the building was constructed. The original placard which bears the date 1915 is presently displayed in the Lady Minto Hospital atrium. In July 1915, steps were taken to change the name from “The Cochrane General Hospital” to “The Lady Minto Hospital at Cochrane” in order to obtain a $3,000 grant from the Victorian Order of Nurses. As an Honorary President of the Victorian Order of Nurses, Lady Minto campaigned for good health care in rural areas and her fundraising efforts resulted in the establishment of 43 hospitals in communities and isolated areas throughout Canada. Each of these hospitals were named after Lady Minto, followed by the community name. The original hospital which underwent extensive renovations in the early 1950s was eventually utilized as the local medical clinic when a new hospital was built on an adjacent lot in 1977/78, and finally demolished in 2004 following the construction of a new Medical Clinic named the “Minto Health Centre”. 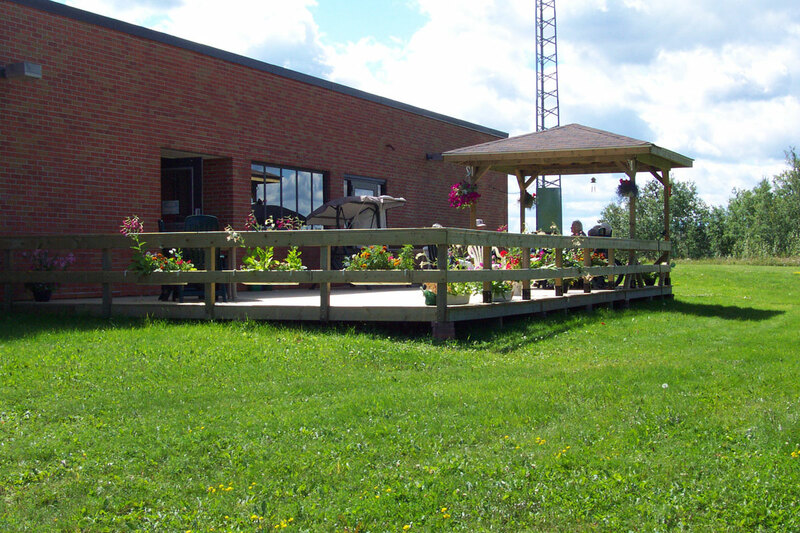 In the mid-90s, Cochrane faced the closure of its nursing home and the loss of long-term care beds within the community. 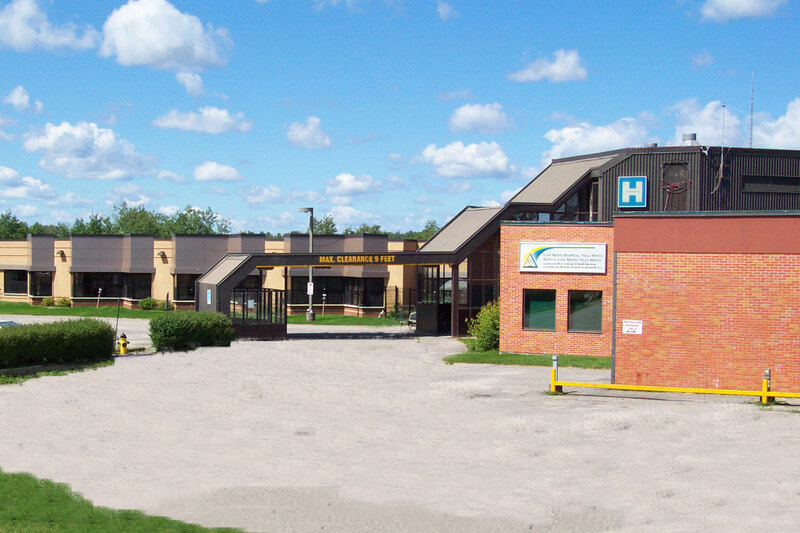 The Hospital Board acquired the licence for the beds, and began plans to redevelop an existing wing of the hospital into a 33-bed long-term care unit. A successful fundraising campaign helped build the new Villa Minto long-term care unit which opened its doors on November 25th, 1998. 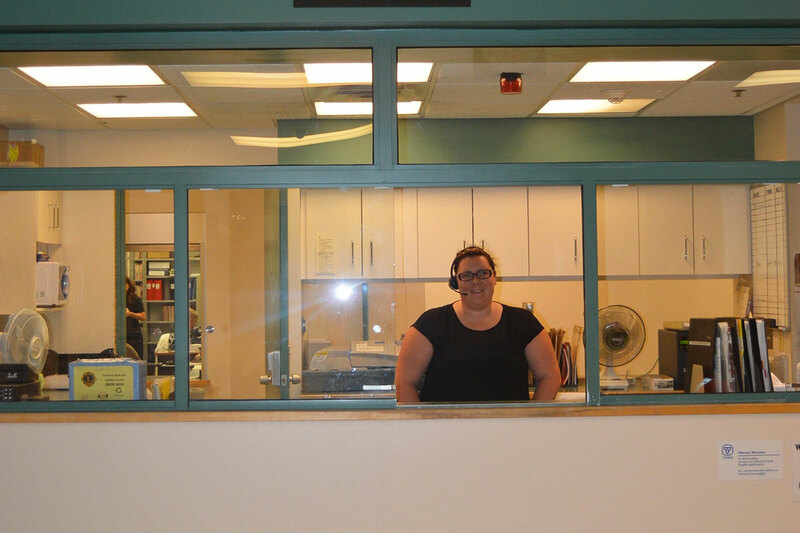 Today, Lady Minto Hospital is a thriving acute general hospital which provides a wide range of in-patient, complex continuing care, emergency, out-patient, ambulatory care, general surgery, and long-term care services. 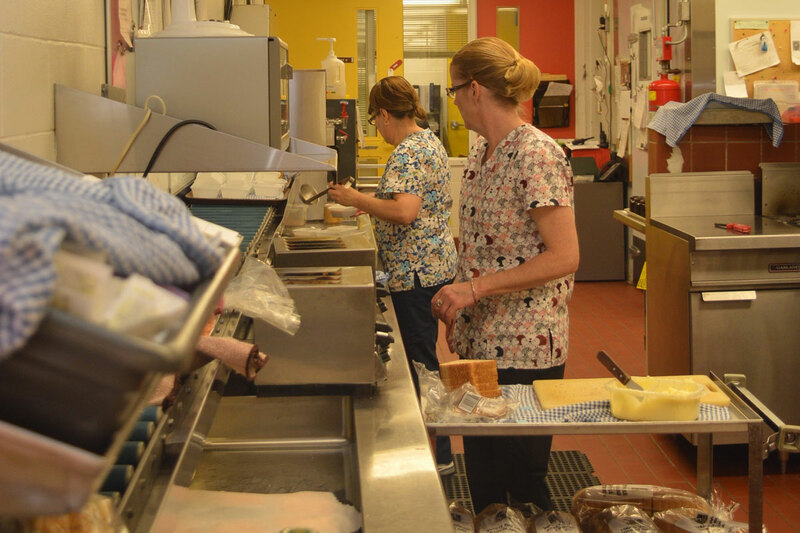 Currently the hospital is designated as having 25 acute, 8 continuing care, and 37 long-term care beds. 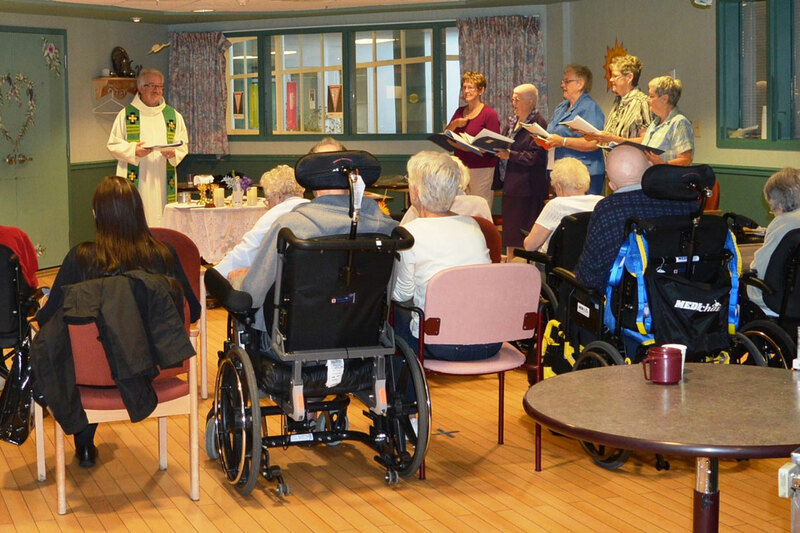 Amalgamated with Lady Minto Hospital since November 1998, this 37-bed long-term care wing is housed within the hospital and is termed not-for-profit. Nursing staff will work in partnership with Residents to plan their nursing care and the manner in which it will be given. Residents will be encouraged to perform routine tasks of daily living (i.e. bed making, bathing) and the nurses will be there to assist them when needed. Their health status will be monitored and nursing will provide the supportive care they need to live as comfortable, fully and effectively as possible. 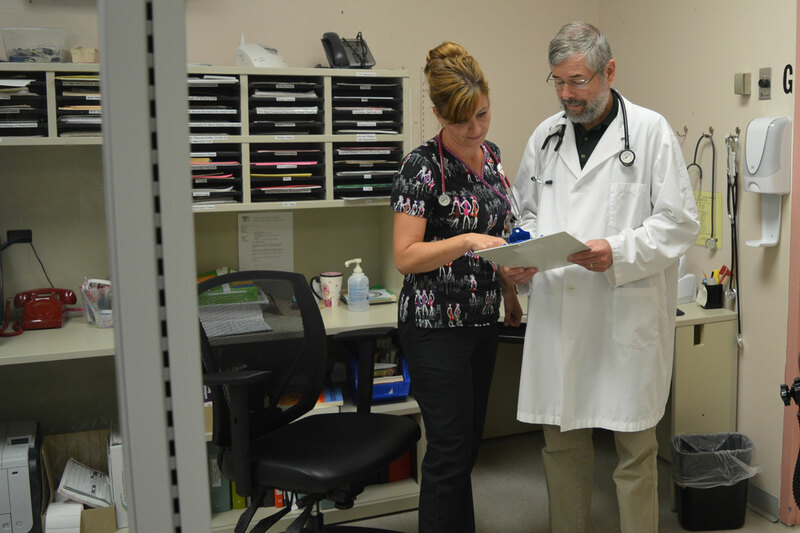 There are professional nursing personnel available 24 hours a day. The nurses will use their knowledge and experience to provide the information and guidance required by the Residents to maintain their lifestyle. Upon admission, all medications will be reviewed by a physician and most will be covered by the Ontario Drug Benefit Plan as was the case when living in your own home. All medications are administered by the RN or RPN and no medications can be kept by a Resident without a physician’s order. Meal times provide opportunities to meet and socialize with other Residents in pleasant surroundings under relaxed circumstances. All meals will be served in a spacious dining room restaurant style. Meals are planned to take in personal preferences, special diets and seasonal specialties. Coffee, tea, milk, juices, fruit and light snacks are served morning, afternoon and evening as well as being available at all times day or night. During the summer, meals could be served outdoors. All bed linen is provided. A comforter or afghan may be brought in for the Resident’s use. Laundry service is provided for wash and wear clothing (no woolen items). Labeling of personal clothing is done by the facility as soon as the clothes are brought in to prevent loss. Dry cleaning costs are the Resident’s or his/her family’s responsibility. Mending and ironing will be available at a cost to the Resident. 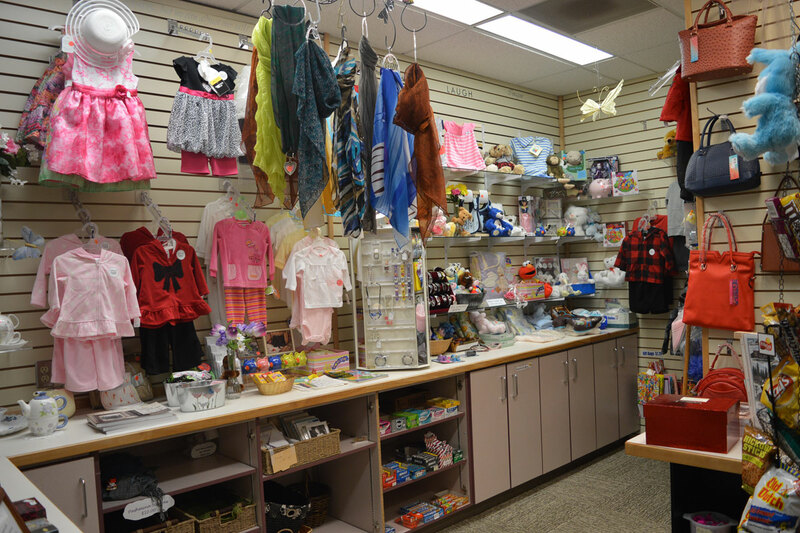 The Ladies’ auxiliary operates the gift shop which provides confectionery and sundry supplies. Mail service is available at the home. Stamps are available at the gift shop. Residents may have a telephone in their room. They are responsible to arrange this service through the Cochrane PUC. Each Resident will be billed personally by the PUC. Residents will be afforded the opportunity of having cable available in their rooms for connecting their personal TVs. The cable charges will be the Resident’s responsibility. The services of qualified hairdressers will be available at reasonable rates and the Residents will be billed accordingly. Call bells are located at each bedside and in each washroom, tub room and Resident activity room. The bedside alarms are activated by pushing a button and the washroom alarm system is activated by pulling a chain. Every Resident has the right to be treated with courtesy and respect and in a way that fully recognizes the Resident’s individuality and respects the Resident’s dignity. Participate fully in the development, implementation, review and revision of his or her plan of care. Give or refuse consent to any treatment, care or services for which his or her consent is required by law and to be informed of the consequences of giving or refusing consent. Every Resident has the right to designate a person to receive information concerning any transfer or any hospitalization of the Resident and to have that person receive that information immediately. The licensee, and, if the licensee is a corporation, the directors and officers of the corporation, and, in the case of a home approved under Part VIII, a member of the committee of management for the home under section 132 or of the board of management for the home under section 125 or 129. Every Resident has the right to have any friend, family member, or other person of importance to the Resident attend any meeting with the licensee or the staff of the home. To observe the rules and regulations of the facility as in the effect at the time of admission and as altered from time to time. To treat one’s fellow Resident, roommates, table companions and staff with courtesy and consideration, and to bear in mind their rights at all times. To observe at all times the no smoking regulations for one’s own protection and that of other Residents and staff. To participate always, and with promptness, in fire and disaster drills. To use with care all supplies, linens and furnishings, just as if they were one’s own. To provide truthful information to the appropriate staff and administration concerning all aspects of your mental, physical, and financial status, and to keep them informed of any change in these. To consider that other Residents may require more assistance, and more urgently, that oneself. One cannot always be served first. To report promptly anything one feels needs attention (i.e. safety hazards, security, or anything one feels is not right). To give the Charge Nurse or any of the administrative staff an opportunity to correct a complaint of grievance by speaking to them directly. If one does not get satisfaction within a reasonable time, write to the Chief Executive Officer. To be fair and loyal to one’s fellow patients and the staff. To take care of your personal items and valuables and send home anything that is not needed, as the hospital does not accept responsibility for any loss or damage of any personal items. In preparing for the move to Villa Minto, we encourage all applicants to visit first. The home is fully furnished with all the comforts and conveniences the Residents require. All clothing and personal articles will be labeled by Villa Minto. If additional clothing is needed through the year, we request that family members assist Residents with the purchase. Please ensure any additional items are identified for labeling. The laundry washes clothing carefully but cannot be responsible for shrinkage or clothing wearing out from excessive washing. The Resident or family should take responsibility for dry cleaning. Residents are discouraged from bringing personal belongings of a valuable nature into the unit. Arrangements for storage of such items must be made prior to admission. Whenever possible, all clothing should be wash and wear. All clothing should be that which is easiest for the Resident to put on independently. Resident’s clothing must be brought to the attention of the staff for labeling. Any alterations to clothing that are necessary for ease of dressing should be done prior to the item being brought to the unit. The person is at least 18 years of age. The person is an insured person under the “Health Insurance Act”. The publicly-funded community based services available to the person and the other caregiving, support or companionship arrangements available to the person are not sufficient, in any combination, to meet the person’s requirements. The person’s care requirements can be met in a long-term care home. 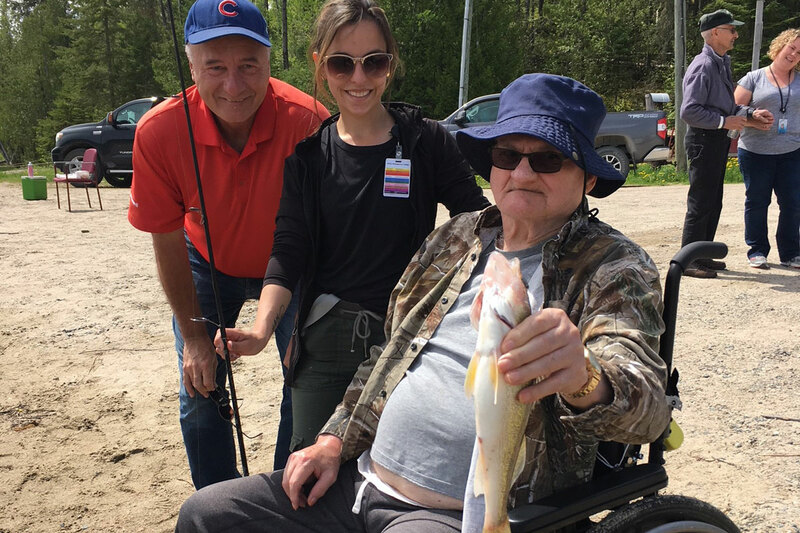 If in the opinion of the home, the applicant’s physical and mental needs cannot be met the application will be denied and the reason provided to the North East LHIN Home & Community Care. No person will be admitted without his/her consent, or if incapable of giving consent, that of his/her legal representative. A physician will be retained by the Resident or his designate to provide the Resident’s medical care. Applicants will apply to the North East LHIN Home & Community Care. 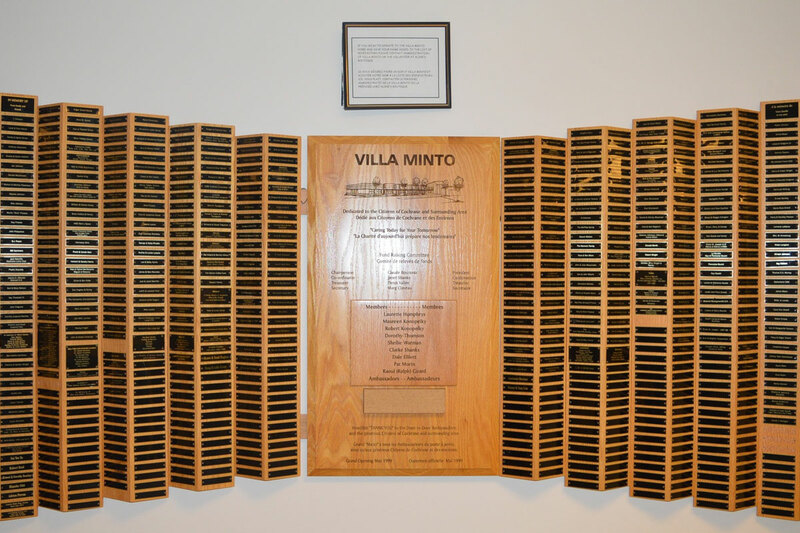 Once the application has been processed, a waiting list will be complied and presented to the Villa Minto. The Villa Minto will respond as to the acceptance of the applicant based on the criteria of the Long Term Care Legislation and the applicant’s name will be placed on the waiting list. Following selection for admission, the applicant will be notified regarding availability of a bed and arrangements for admission will be made. If the Resident’s preferred accommodation is not available on admission he/she may be admitted to the available bed and placed on a waiting list for the preferred accommodation. Selection from this waiting list will be made on the basis of the Resident’s admission date. Signatures must be obtained on a co-payment form showing agreement from each Resident to pay the full co-payment monthly charge. Residents admitted to the Villa Minto will be required to pay a co-payment upon admission. The rate charged is determined by the Ministry of Health & Long-Term Care and is based on the maximum allowable combined pension paid under the Old Age Security (OAS), Guaranteed Income Supplement (GIS) and the Guaranteed Annual Income Supplement (GAINS) less the approved allowable Comfort allowance. The rate charged is adjusted in accordance with the Resident’s annual income. Notice of Assessment documentation is required annually to determine changes in rates. Residents who do not receive the maximum allowable government pension are still required to pay the minimum standard rate. It is preferred that either the Resident or family handle the financial affairs for the Resident and monthly invoices will be directed to them accordingly, however, a trust system can be set up if this not feasible. 5 private and 14 semi-private rooms are available, however, there are additional charges for these units. The rates charged are set by the Ministry of Health & Long-Term Care and Residents should expect to pay the premiums. Income testing will be done based on the Resident’s previous year’s income tax form. 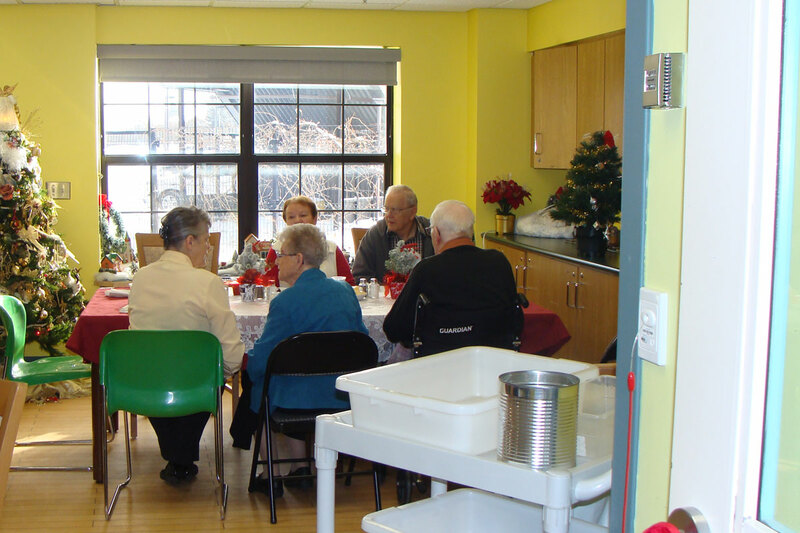 Long Term Care Residents are allowed various leaves of absence from the unit. Each of these types of leave must be authorized by the physician. Not to exceed 48 hours in one week. Care to be given during the leave of absence will be specified by the physician. Responsible person (over 19) must indicate in writing that they agree to assume full responsibility for care, safety and well-being of the Resident during the leave of absence. Release of responsibility must be signed by the Resident or responsible person. Resident is entitled to 21 days’ vacation leave each calendar year. 30 days for medical leave and 60 days for psychiatric leave. At Villa Minto, it is our policy to provide quality care for the Residents. At time Residents/families may have questions or concerns about the care provided that they wish to be addressed. We, as a home would prefer to address the concerns before they become serious. The C.E.O. and/or Chief Nursing Officer will respond to written complaints within 10 days to all Residents’/representatives’ requests, suggestions, and complaints indicating possible plans of action. All concerns received shall be documented, including a list of the issues, date expressed, date and follow up. Residents are entitled to purchase and have a moderate amount of alcoholic beverage on approval and under the conditions set by the Resident’s personal physician. In the event of voluntary discharge, it is requested that 24-hour notice be given to the Administration whenever possible. If a Resident brings personal appliances such as an electric razor, TV, radio, etc, the equipment must be checked by the maintenance department for safety in use, prevention of overloading of power lines and safe installation. There are alarms on all doors leading off the home that may be activated. The fire doors at the west end of the building are always activated. Fire drills will be conducted once a month on all three shifts. At the time the Residents and visitors are asked to return to the Nursing Home and if possible to their rooms. The doors will be shut and all equipment will be turned off and lights turned on. Staff will be available to reassure Residents. We ask that during this time that visitors not enter the facility or, if in the facility, remain inside. There are 5 doors that will provide fire exits. 2 will be to the outside at the west end of the building and two doors entering patios and the hallway door by the atrium. Each Resident will have the option of depositing a sum of money at the time of admission. This account will be used for minor essentials such as hair care, toothpaste, telephone, TV, cable, clothing, etc. At the end of each month, the Resident will receive a billing of monies drawn from this account during that month and will have the option of replenishing the account. A separate accounting card will be kept for each Resident and as they draw money from this account, they will be required to sign or initial each entry on the card. If the Resident is unable to sign, the charge nurse will initial the entry for them. It is recommended that a maximum $20.00 be kept at the bedside. Residents and/or family are encouraged to handle the Resident’s financial matters for the Resident, however, Trust accounts can be arranged if necessary. Next of kin/Resident representatives will be notified if possible at least 24 hours ahead of a planned discharge, or a transfer to hospital. If it is an emergency admission to hospital, notification will take place as soon as possible. Relatives must advise the Administration office and the Nurse in Charge of any change of address or telephone numbers. Note: During vacation periods, please leave the telephone numbers of two other family members in case of an emergency. The Residents of the unit can be involved in any community interests. At times, there may be a nominal charge to the Resident. Many Residents may find that they can learn crafts and skill that they have always wanted to. Daily programs will be offered in the unit. These may include special occasion parties, card games, sing songs, fun and fitness groups and muscle strengthening classes. The physiotherapist may assess the Residents on an individual basis and recommending appropriate activities to maintain and improve the Resident’s condition. There will be a monthly activity calendar posted in the unit to keep the Residents informed of upcoming events. Residents and families are asked to contribute to program planning and families are encouraged to participate with the special programs and outings. Residents appreciate the visits and assistance of volunteers. Anyone interested in becoming a volunteer may contact our Activity Coordinator. Regular interdenominational and special religious services will be arranged and held in the home or the Resident may attend their own church. There may be occasions when family members may be requested to accompany their family member to appointments outside the building. Administration reserves the right to move a Resident from one room to another. We would appreciate your support and cooperation should these changes be necessary. Resident/family will be consulted prior to any move. Smoking is not allowed in the facility or on the grounds. There is very limited space for storage of valuables. We request that the Resident realize that he/she is responsible for them. They will be provided a locked drawer in their room and this too is the Resident’s responsibility. A Resident is required to inform the Administrator of the length and location of absence from the unit one week prior to leaving the unit, if possible. The Resident should ensure that valuables in their rooms are placed in safekeeping as the home is not responsible for the Resident’s personal items. Limited space is available at reception for this purpose. We have no set visiting hours for relatives and friends. Visitors are welcome any time within reason providing all Residents’ comfort is respected. Many of our Residents would enjoy going out for a meal, to social events, or for an overnight stay with a member of the family. Such outings are encouraged but it is required that the Registered Staff in charge be advised beforehand.